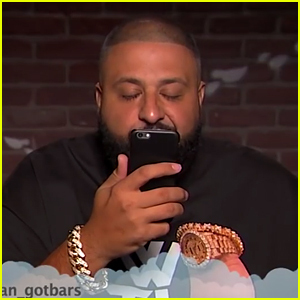 DJ Khaled, 50 Cent, Big Sean & More Read 'Mean Tweets: Hip Hop Edition' - Watch Now! DJ Khaled, 50 Cent and Big Sean are hitting back at their haters! The hip-hop stars all read mean tweets aloud during a Hip-Hop Edition of Jimmy Kimmel‘s Mean Tweets on Thursday night (August 9). Stars who read their mean tweets included A$AP Rocky, Eve, Pusha-T, Remy Ma, Rae Sremmurd, Anderson .Paak, Trippie Redd, Tyler The Creator, Awkwafina, Logic, Lil Yachty, Wale, Ty Dolla $ign, Yo Gotti, Lil Wayne and T-Pain. Watch the hip-hop stars read mean tweets below! 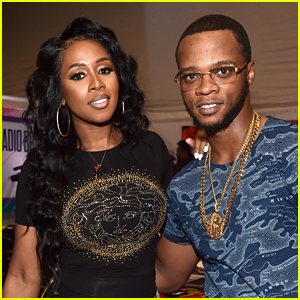 Remy Ma & Husband Papoose Expecting First Child Together! Remy Ma is having a baby! 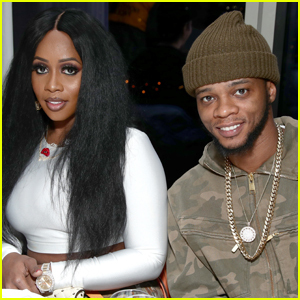 The 38-year-old rapper revealed on Tuesday (July 3) that she and her husband Papoose are expecting their first child together. The couple announced the exciting news to their close friends and family during their vow renewal ceremony over the weekend, before revealing the news on Instagram. Remy has a son, Jayson, from a previous relationship while the 40-year-old rapper has three children from previous relationships. The couple married 10 years ago in a courthouse before Remy was sent to jail for shooting a friend in the stomach. She served just under seven years and was released in 2014. Remy Ma & Chris Brown Team Up for 'Melanin Magic' Music Video! 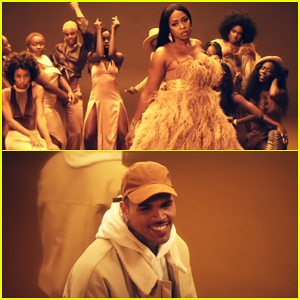 Remy Ma celebrates black beauty in her just released music video for “Melanin Magic (Pretty Brown)” featuring Chris Brown! The track is the latest single off the 37-year-old rapper’s forthcoming album 7 Winters & 6 Summers, which is set to drop later this year. Kehlani Shows Off Her Fierce Looks at New York Fashion Week! Kehlani bundles up in a black jacket while posing for photographs at the Laquan Smith runway show held as part of New York Fashion Week: The Shows at Gallery I at Spring Studios on Wednesday (February 14) in New York City. 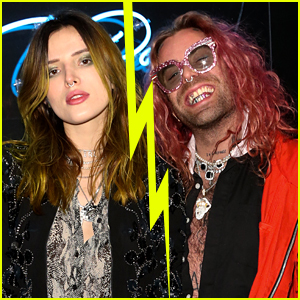 The 22-year-old Grammy-nominated singer was joined at the front row of the presentation by Shaun Ross, Casey Spooner, and EJ Johnson with his sister Elisa Johnson. The evening before, Kehlani rocked a fierce ensemble while attending the Heron Preston + Tequila Avion Dance Party in Celebration Of Heron Preston “Public Figure” at Public Arts. Also in attendance at the celebration were Justin Skye and Remy Ma. 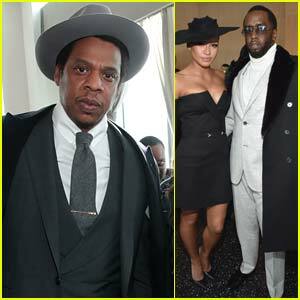 Jay-Z suits up for Roc Nation’s The Brunch on Saturday afternoon (January 27) at One World Observatory in New York City. 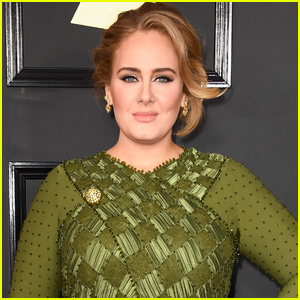 The 48-year-old rapper was joined at the event by Sean “Diddy” Combs and girlfriend Cassie as they attended the event in honor of the 2018 Grammys. Other stars at the event included Iggy Azalea, Remy Ma, Baz Luhrmann, La La Anthony, Susan Sarandon, Swizz Beatz, and T.I. FYI: Jay is wearing a Tom Ford overcoat. Iggy is wearing a John Paul Ataker dress while carrying a Flynn bag. Posted to 2018 Grammys Weekend, Baz Luhrmann, Cassie, Diddy, Iggy Azalea, Jay Z, La La Anthony, Remy Ma, Susan Sarandon, Swizz Beatz, T.I.